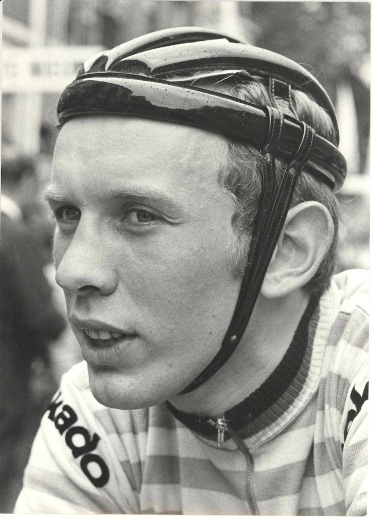 Rik van Linden (born July 28, 1949) was a racer with a punishing sprint. 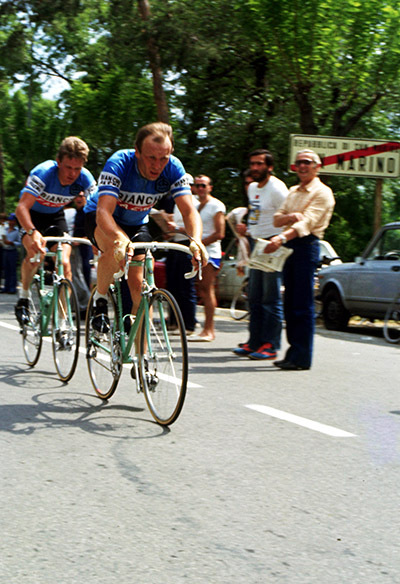 The Belgian won the 1975 Tour de France points classification as well as stages in all three Grand Tours. In all, he won 111 professional races. 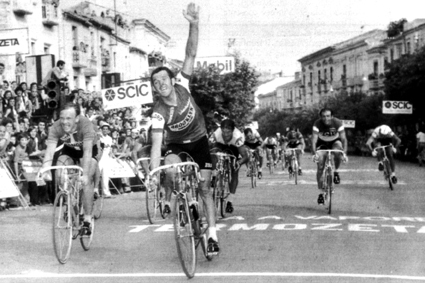 His victories are notable because this was the era of Eddie Merckx, Patrick Sercu, Franco Bitossi and Roger de Vlaeminck. He was nicknamed Rik-3, after former Belgian racers Rik van Steenbergen and Rik van Looy. 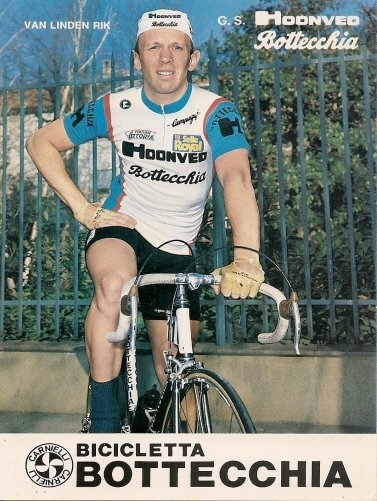 His father raced professionally as well. 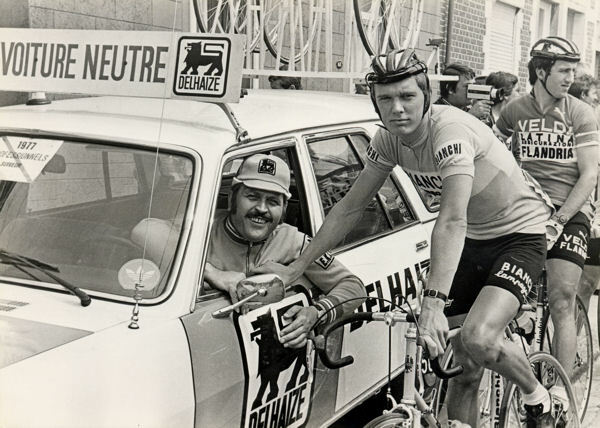 Van Linden was not only a formidable road man, he was a capable track rider, earning both Belgian Derny and Omnium championships. 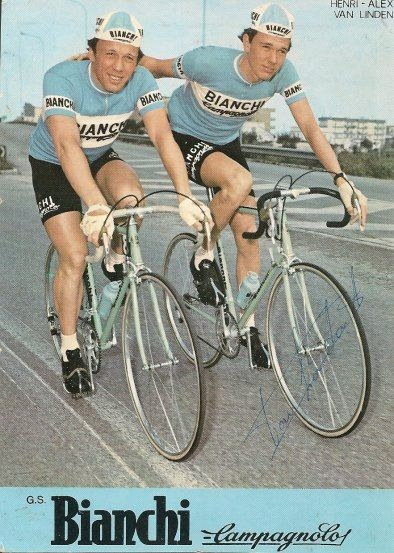 Teamed with Felice Gimondi, he also won the Milan Six-Day in 1977. 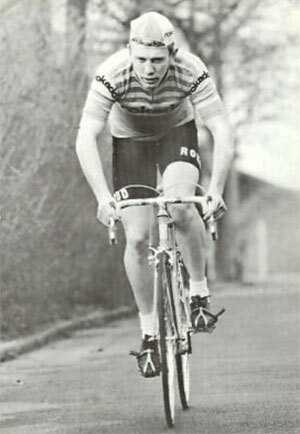 He race professionally from 1971 until 1983. 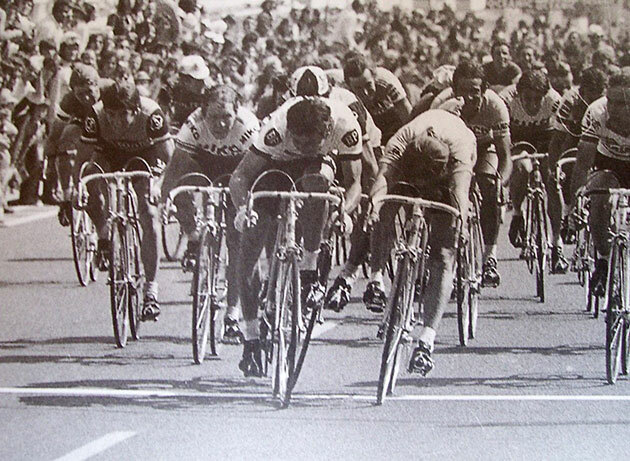 Jacques Esclassan (with BP shoulder patches) just beats van Linden in 1975 Tour de France stage 4 in Le Mans. 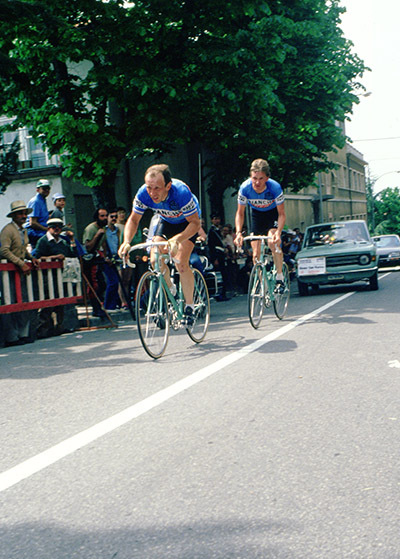 Note the classic mid-70s Peugeot PX-10 Esclassan is riding with the Mafac centerpull brakes. It's the legs! 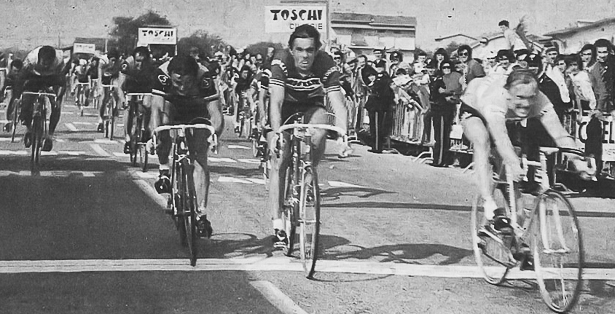 Beating Patrick Sercu in a mid-1970s Milano-Vignola. Another shot of the same stage.